Reel Talk Online: First Look: "Puncture"
It looks like Captain America really opened some doors for the once ordinary pretty boy actor Chris Evans. He's taking a break from the Marvel universe and stepping out in a very risky role as a drug-addicted lawyer who in his latest case takes on a health supply corporation in the upcoming drama, Puncture. An, by the look of this first trailer, the risk may be paying off. 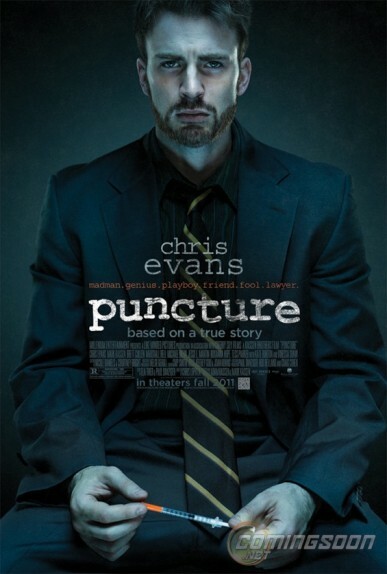 Check out Evans, along with Law & Order alum Jesse L. Martin in the trailer for Puncture, which is scheduled to hit theaters September 23. This looks like a solid indie. I didn't see Captain America or any of the last few films Evans was in, but I see potential in the trailer. I might check this out.